Hey! 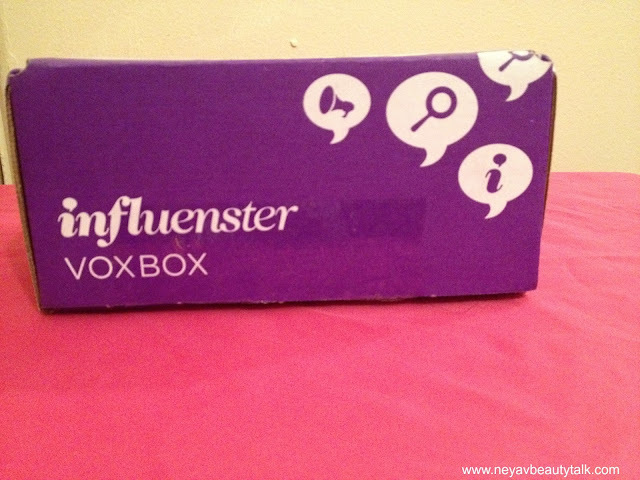 I finally received my Influenster Violet Voxbox*! In case you're not familiar with Influenster, it's a really cool site where you can go write reviews for different products. You unlock badges pertaining to your lifestyle. If you qualify you could receive a Voxbox filled with free goodies for you to try and share with your social media sites! Now lets get on to the box! This box is one of the two beauty voxboxes that they sent out. Some of the boxes varied. I received 5 items in my box. This is a dry shampoo by Not Your Mother's. I'm not sure how I feel about this product. 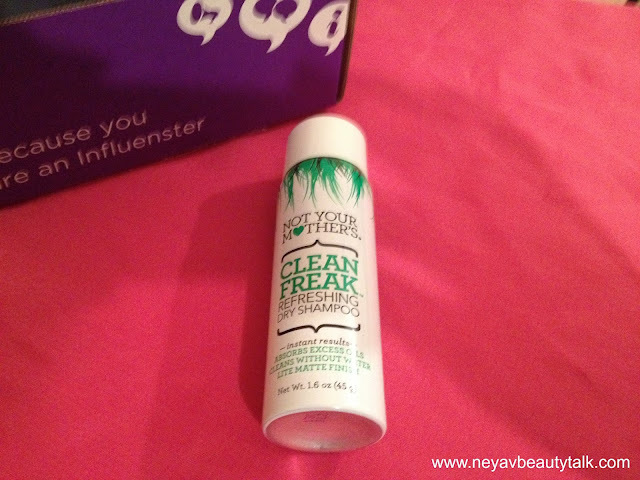 I don't believe that I can use this in my hair so I don't know if I'll be able to do a review of it or not. This is the Goody Athletique Ouchless Headwrap. I'm actually pretty excited about this one! I've recently been going back to the gym so I'm excited to test this out during a workout! 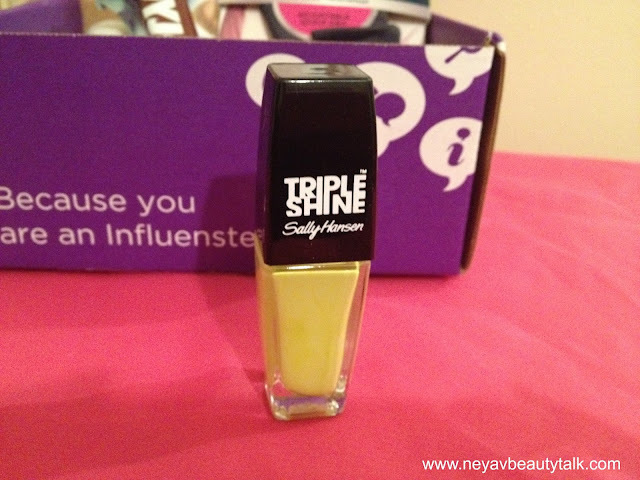 I have mixed feelings about this Triple Shine nail polish by Sally Hansen. I'm not a huge fan of nail polish, but I don't mind receiving them. I'm really not sure about the color though. It's nice, but not a color that I would pick out. I'm still going to try it though and see how it looks! So I've never heard of this company before. 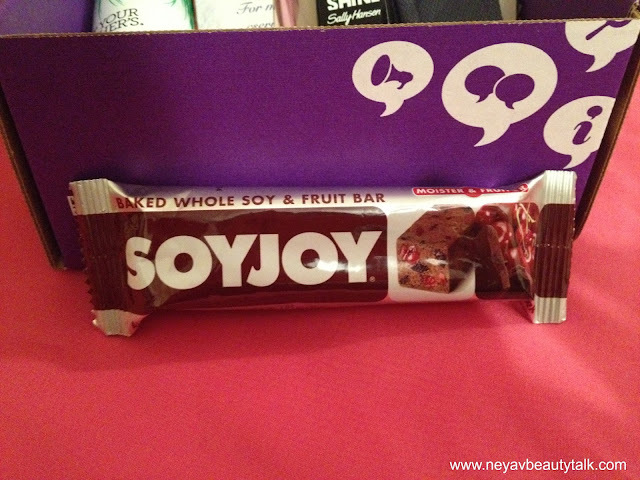 This is the SoyJoy Dark Chocolate Cherry bar. I don't like dark chocolate so I probably won't like this and I'm not too sure about a soy bar. But I will give this a try...or at least take a bite. 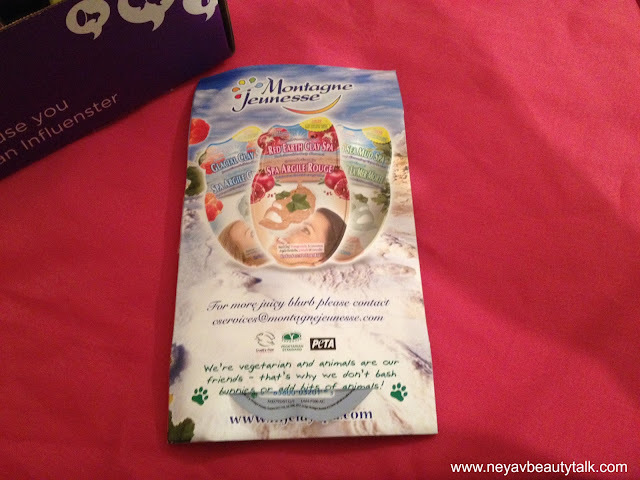 This is a facial mask by Montagne Jennesse. This is another company that I have never heard of and I have no idea how to say it. I've been interested in masks lately so I'm excited to try this out! That's all that I received in my voxbox! I will post reviews of some of the products once I've had a chance to try them. What do you think of what I got? 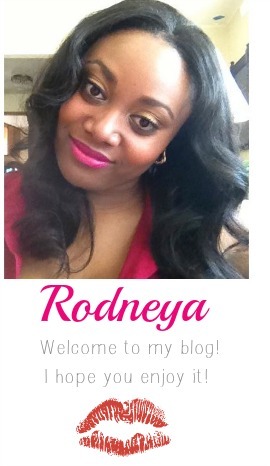 Enter my Naked Basics Giveaway here!